On behalf of the Board of Directors and Search Committee of the Asmara International Community School in Asmara, Eritrea, we are pleased to announce that Mr. Greg Hughes has been appointed as the new Director beginning in August 2018. Mr. Hughes was most recently Director of the American International School of Lesotho, in Maseru, Lesotho. He has also served as Superintendent/Director and in other administrative positions in Guinea, the Democratic Republic of Congo, Zambia, Mali and in several other countries outside his home country of Australia. The Asmara International Community School Board of Directors, the AICS Search Committee and Search Associates would like to thank all candidates who expressed interest in the Director position, and to everyone who assisted and supported the search process. 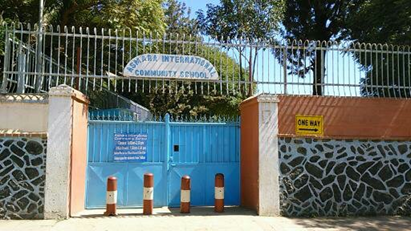 The Asmara International Community School (AICS) is looking for a dynamic and energetic educator who can take the school to the next level. This is the time for an ambitious, new administrator with strong curriculum development and management skills. 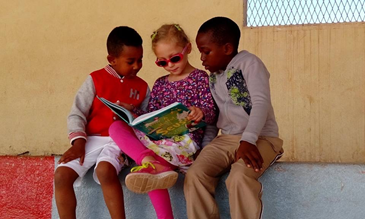 The Asmara International Community School serves the international community by providing a rigorous English language academic program of excellence, emphasizing individual discipline, personal integrity, and respect for others. Established in 1994, The AICS is a private, non-profit, college preparatory day school offering an educational program to students of all nationalities from Nursery (age 2) through Grade 12. The School is fully accredited by Middle States Association of Colleges and Schools through Grade 12. Semester 1 runs from Middle of August through January, and Semester 2 begins in February till mid-June. Community: Asmara is in the highlands of Eritrea at an elevation of 2350 meters. It is sunny with an average daily temperature of low to mid-20’s C every day although the temperature can drop at night. The city is very walkable and safe at all times with a very low crime rate. Asmara can best be characterized by its Modernist architecture, and its love for bicycles, coffee and pizza. 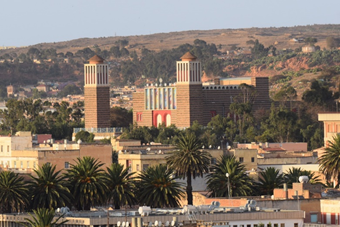 Asmara was recently named a UNESCO World Heritage Site for its approximately 5000 listed Italian Art Deco buildings. The Red Sea coast is a three-hour drive. 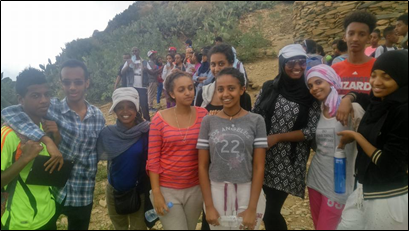 The foreign community is small but active and Eritreans are polite and friendly. A 7 member Board of Governors governs the school. Five Board members are elected by the AICS Association, comprised of parents or guardians of students enrolled in the school. One Board member is appointed by the U.S. Embassy Chief of Mission, one Board member is appointed by the United Nations Resident Coordinator and the School Director is an ex officio Board member. The school follows the International Primary curriculum in the Early Childhood Program through to Grade Six, the International Middle Years Curriculum for Grade Seven and Eight and is a Candidate school for the International Baccalaureate Diploma Programme. There are specialist classes in ICT, Music, PE and Visual Arts. The school measures academic progress through the International School Assessment in Grades 3-10 and with the PSAT in Grades 7-11. During the current 2017-2018 academic year, AICS has 27 educators from 7 countries, many with advanced degrees and all qualified to teach in their respective subject areas. These staff members include 18 host country nationals and 9 foreign hire teachers. The school also has a principal/teacher to assist the Director with day to day operations. As of September 28, 2017, enrollment is 168 students. Of that total, 80% are dual Eritrean citizens or Eritrean Nationals, and 20% are foreign nationals. The campus consists of a purpose-built two-story brick building with ten large and two small classrooms with an additional one-level building containing three classrooms. It has a library of 4500 volumes for reference work, supplemental reading, and pleasure reading, as well as networked computer workstations for Internet research. On the campus there are forty computers used for instruction, twenty of which are in the computer lab. There is an infirmary on the ground floor and administrative offices on the second level. The school has a multipurpose room used for physical education, drama productions, and other group gatherings. 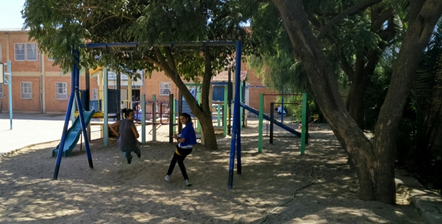 The grounds have ample space to play containing a shady, sandy area with playground equipment, a basketball court, a paved soccer field, and picnic tables under a row of jacaranda trees. The AICS Board of Governors is seeking a director who has the experience, energy, and commitment to lead AICS in its day-to-day operations, as well as its long-term goals which are to improve the eduational capacity of the teaching staff and curriculum and to consolidate and focus improvement of the school’s administrative and organizational capacity. The new director must possess the ability to lead the implementation of recommendations from the upcoming March 2018 re-accreditation. actively promoting increased enrollment at the school. The AICS has appointed Search Associates to assist in the search for a new Director, with Ralph Jahr and David Cramer as consultants. The deadline for applications is January 15, 2018. Candidates are asked to submit a letter of interest and the requested materials as early as possible as the Search Committee/Board of Directors reserves the right to close the selection process at any time if the right candidate is found. The review of files will begin as soon as applications are received. Skype video interviews of selected candidates will take place on a rolling basis and can be scheduled at any time after applications have been received. The new Director will be selected immediately after interviews of the finalist candidates have been completed. Current plans are to have the new Director identified by February 15, 2018. Additional information about the AICS can be found on the school’s web site at < http://www.aicseritrea.com/ >.